Our friends at Samsung have let us know that the Samsung's Tablet format Galaxy Note 10.1 (2014) is now finally available to Canadians. 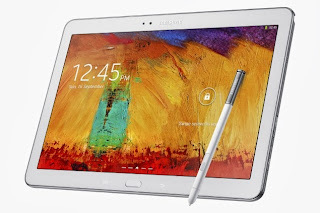 The Galaxy Note 10.1 (2014) will be available at Best Buy, Future Shop and other major retailers on November 8, 2013 in Classic White. The Galaxy Note 10.1 will bring all the functionality we saw in the Galaxy Note 3 but to the big screen of the Note 10.1 beautiful 2560x1600 display. No word on a carrier subsidized version just yet. Specs include an Octo-core Samsung Exynos 5420 Processor 1.9GHz Quad + 1.3 Quad, 10.1-inch WQXGA 2560x1600 resolution display, 3GB of RAM, 32 Internal Storage (upgradeable by an addition 64GB via microSD card), 8MP Rear / 2MP front camera, S-Pen Capabilities, Bluetooth 4.0, Wi-Fi a/b/g/n/ac, 8,220mAh battery and Android 4.3. Check out the press release below for full specs and more info. We should be getting our hands on a review unit shortly, so keep an eye out for a full Android Bugle Review. 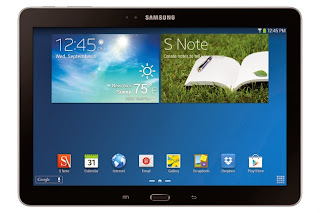 MISSISSAUGA, ON – November 4, 2013 – Samsung Canada, one of the leading suppliers of mobile devices in the Canadian marketplace, announced today that the GALAXY Note 10.1 (2014 Edition) will be available in Canada on November 8, 2013. Originally unveiled earlier this fall at the Samsung Unpacked 2013 Episode 2 in Berlin, the GALAXY Note 10.1 will arrive in Canada hot on the heels of the successful launch of the GALAXY Note 3 and GALAXY Gear and just in time for the holiday shopping season. Bringing the premium design and exceptional product features of the GALAXY Note 3 to a tablet, the new GALAXY Note 10.1 balances productivity, power and aesthetics, allowing Canadians to create and consume content from one device. The new GALAXY Note 10.1 expands on the advanced productivity and creativity leadership delivered by the original Samsung GALAXY Note 10.1 by introducing significant S Pen improvements such as Air Command, Action Memo, Scrapbook and Pen Window. Additionally, the 2014 Edition offers a 10.1-inch WQXGA TFT screen with a resolution of 2560x1600 pixel, an Exynos 8-core processor and 3GB RAM. Use the S Pen: Enhanced S Pen features such as Air Command, Action Memo, Scrapbook and Pen Window that work together to provide quicker and better organization, expression of creativity and personalization. For more advanced note taking, the new S Note offers a comprehensive solution that lets users write, organize and edit notes that sync with a Samsung account for access from multiple devices. Watch your favourite flicks: The large, bright, clear screen delivers four times the pixel density of the original GALAXY Note 10.1, providing a premium content viewing experience. Stay organized: The magazine style UX allows users to organize their favorite resources in an easy to use dashboard. Look stylish: New designs like the textured back cover with stitching inspire a sense of elegance and sophistication. · Get more done: With Multi Window, users can run separate instances of the same application, and use an enhanced S Pen to drag and drop content from one window to another. The improved S Pen and S Note functionality includes updated features such as Action Memo, Scrapbook, Screen Write and S Finder. · Keep it all in one spot: With new Scrapbook capabilities, users can easily indicate any interesting content with the S Pen and organize it into individualized scrapbooks, creating a log of discussion points for a future work conversation, a wish list for new clothes or a home redesign project. · Stay protected: The new GALAXY Note 10.1 comes with enhanced privacy and security protection provided by Samsung KNOX. Users can activate Samsung KNOX with ease which allows them to run and store security-sensitive applications and data inside a protected execution environment called “container.” The security inside the container is strengthened by system-level protection of Samsung KNOX against malware and phishing attacks as well as hacking attempts on physical devices when devices are stolen or lost. For instance, important personal pictures or video can be stored in the container with no worries of data leakage due to hacking. 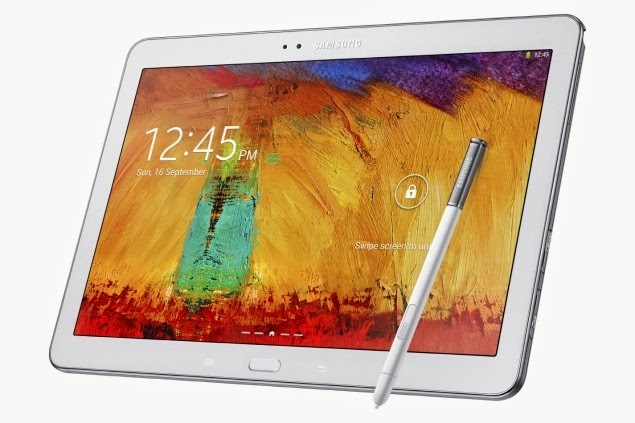 The GALAXY Note 10.1 (2014 Edition) will be available at Best Buy, Future Shop and other major retailers on November 8, 2013 in Classic White. Offer valid from October 15, 2013 to November 30, 2013. Customer needs to have, or open, a Samsung Account to use the Gift Card. Eligible devices are Samsung Galaxy Note 8.0 (Wi-Fi and LTE) and Samsung Galaxy Note 10.1 (including the 2014 Edition). Certain conditions apply. Subject to availability. Participating retailers may vary. Please visit www.samsung.com/samsungrewards for more details. Samsung Electronics Canada offers a broad range of award-winning consumer electronics including televisions, smartphones, personal computers, printers, cameras, home appliances, medical devices, semiconductors and LED solutions. The Canadian arm, selected as one of Canada's Top 10 Marketers of the Year in 2012 by Marketing Magazine, upholds Samsung's global mission to open new possibilities for people everywhere, providing users premium experiences that are unparalleled due to Samsung's innovative technology and stylish design. As a result, Samsung has become a true leader in the consumer electronics industry both in terms of business leadership and brand strength. In 2013, Samsung was ranked #8 in the Interbrand "100 Best Global Brands," and was named as one of Fast Company's "50 Most Innovative Companies of 2011".